The Cal 35 was designed by Bill Lapworth to provide its owners with a boat that both meets the needs of a high performance cruiser who still wants to participate and do well in club racing. The large cockpit has plenty of room for your enter crew and all of the sail handling gear is easy to access for safe short handed sailing. Down below you will find a warm spacious and inviting interior finished in teak. To port is a comfortable and efficient galley with a large three burner stove with oven. Forward is a drop leaf table with plenty of seating for the entire crew. Up forward is a large head with a separate shower stall with large hanging lockers. A large V-Birth forward completes the accommodations. 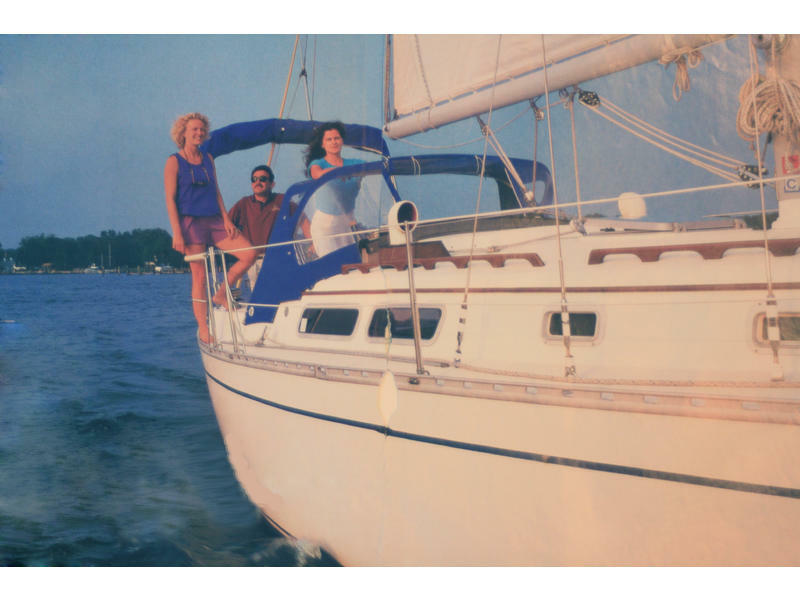 The Cal 35 is a nice package that is ready to safely take you sailing in safety comfort and speed. Stereo System, New upholstery 2006. Great sailaway shape ! Owner wants offers !